A Cassin’s Kingbird was perched in Himmel Park. 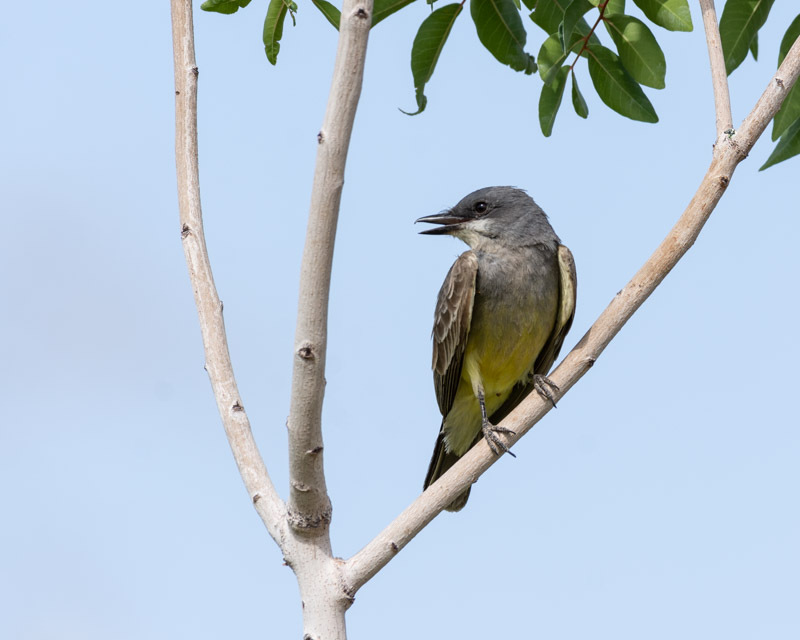 There are several kingbirds who summer in southern Arizona. The Cassin’s has a dark gray head and chest and that distinctive white mustache. Like most kingbirds, the Cassin’s captures its insect prey by aerial hawking from an elevated perch as in the photo below. They will also grab insects on the ground. 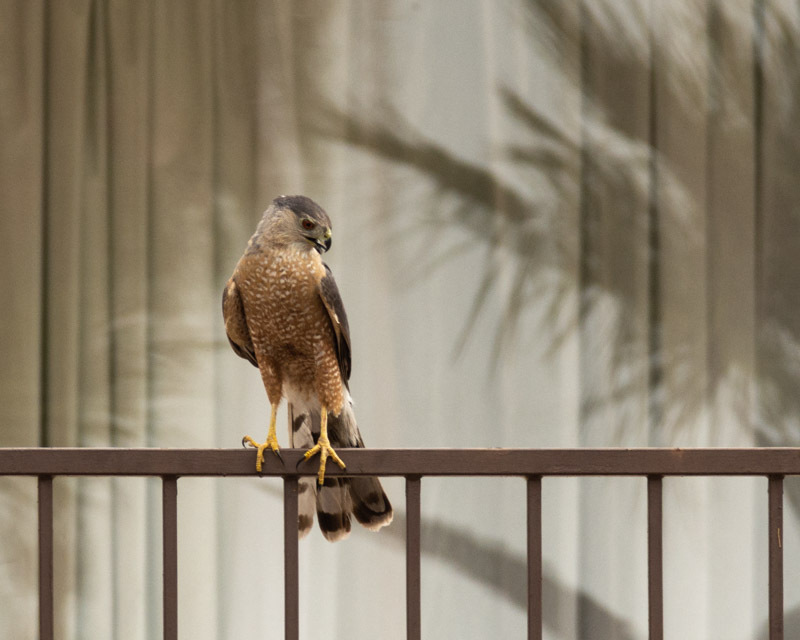 This Cooper’s Hawk is part of a family that lives at the Westward Look Resort. I’m pretty certain they nest in a tree and not in the room behind the railing. 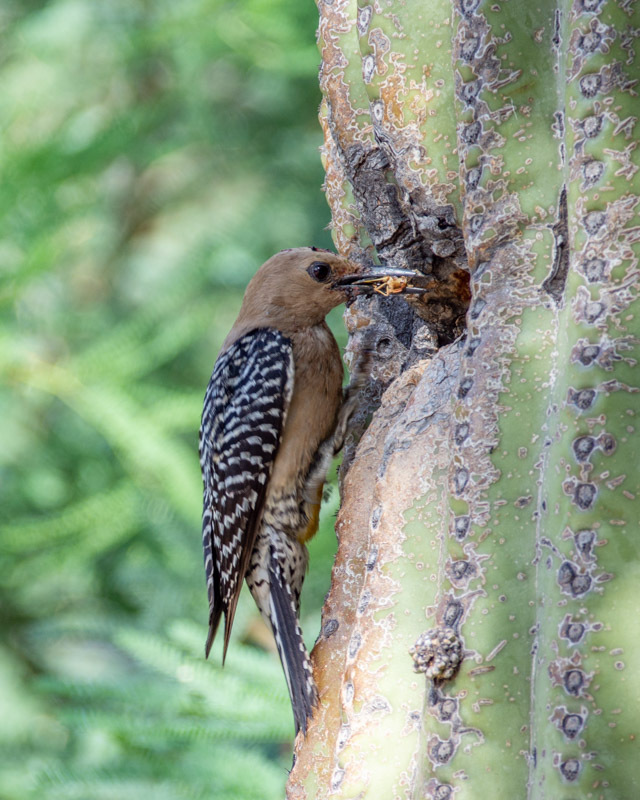 If you put out seeds for birds in Tucson, you likely see these hawks as they feed on birds, tearing through the clutter of tree branches and vegetation in high speed pursuit of their prey. That lifestyle can be pretty dangerous. One study of more than 300 Cooper’s Hawk skeletons found that 23 percent had old, healed-over fractures in the bones of the chest, especially the “wishbone”. 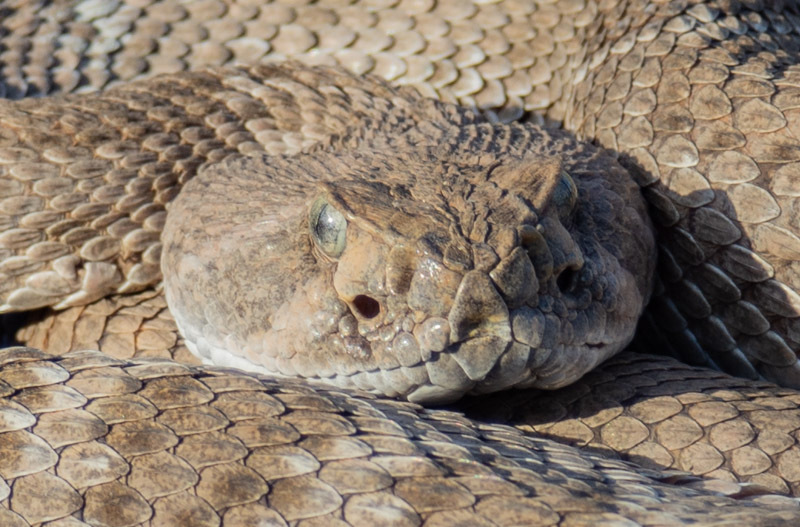 Summer in Tucson means snakes. 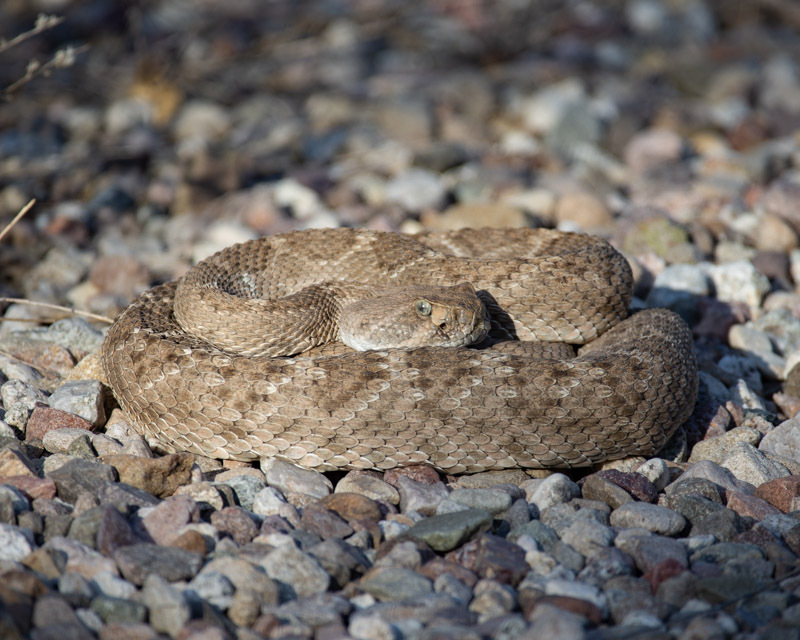 This Diamondback was resting along the trail at Sweetwater Wetlands one morning. It’s a very calm and passive snake. 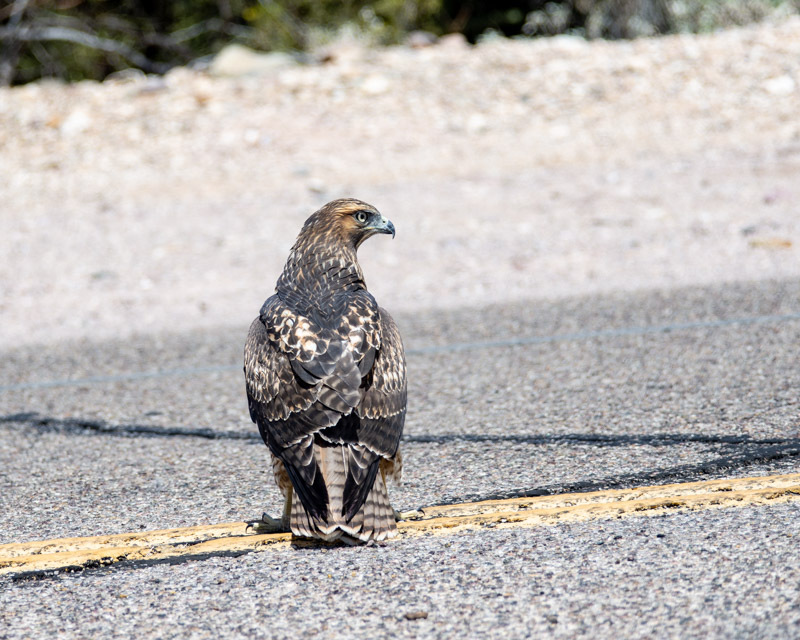 Driving home along Pontatoc Road one morning, I passed a Turkey Vulture standing in the road. 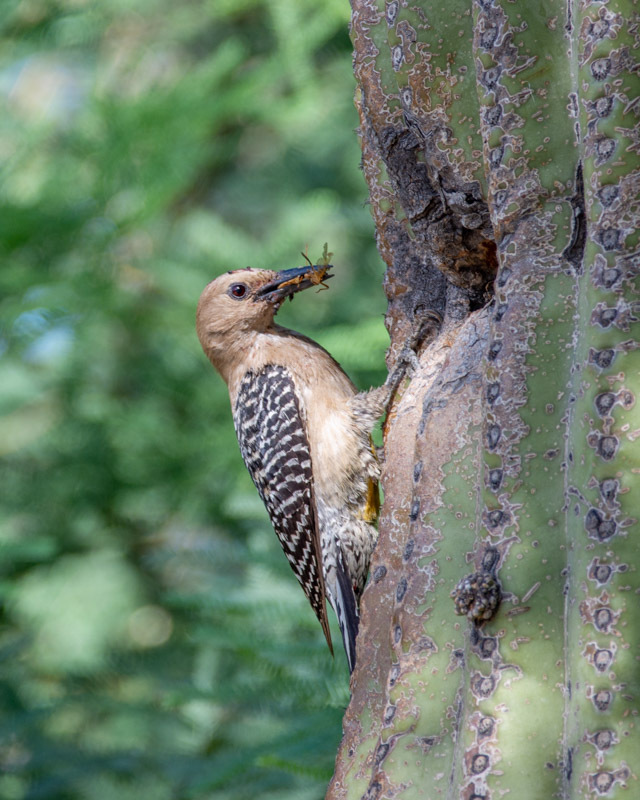 I stopped the car and backed up, camera in hand, hoping to get a nice close-up of the bird. Unfortunately, the vulture left as my car backed up. I waited for a few minutes hoping one of the two visible Turkey Vultures circling overhead would have the courage to land again to feast on the roadkill rabbit. While they didn’t land, a Red-tailed Hawk swooped in over my car and landed at the food spot. He surveyed the scene for a short while before, too, taking off. There was too much traffic on the road for any of the birds to get very comfortable. 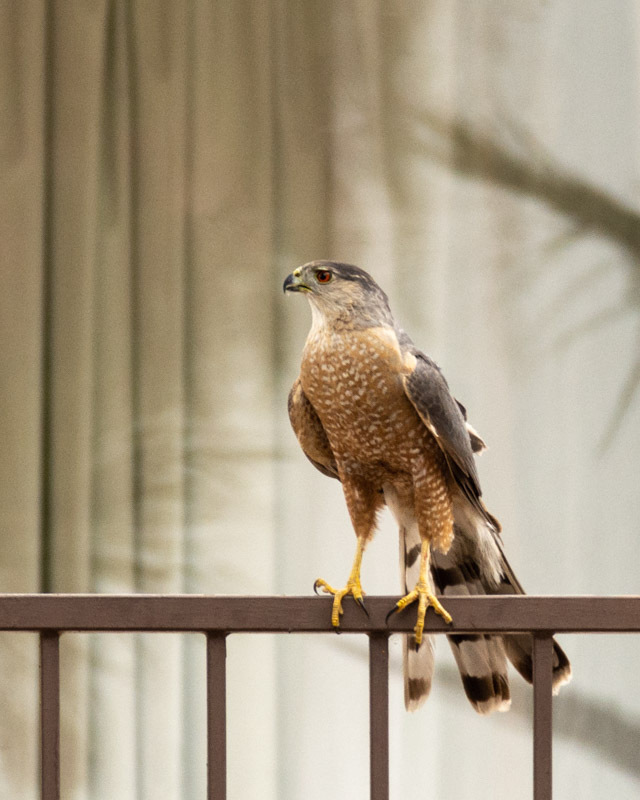 This is a young hawk, as evidenced by the barred (and not red) tail and by the yellow eye. 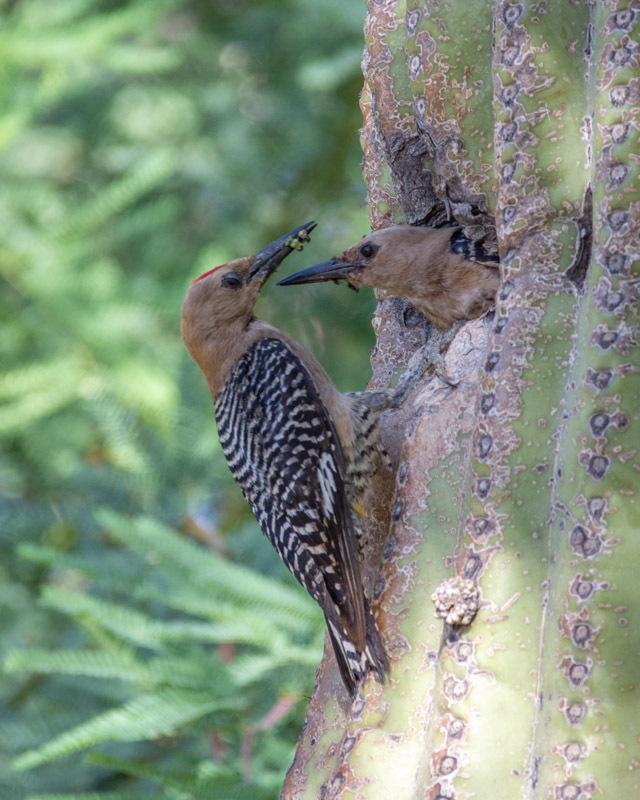 I sent a few photos of a Gila Woodpecker couple at Sweetwater who were feeding young on the nest in a saguaro cactus. I saw the same pair a week later and took the photos below. It’s hard work feeding growing youngsters. I like this shot and the one that followed very quickly. Here, mom is in the nest ready to exit while dad awaits with more food. 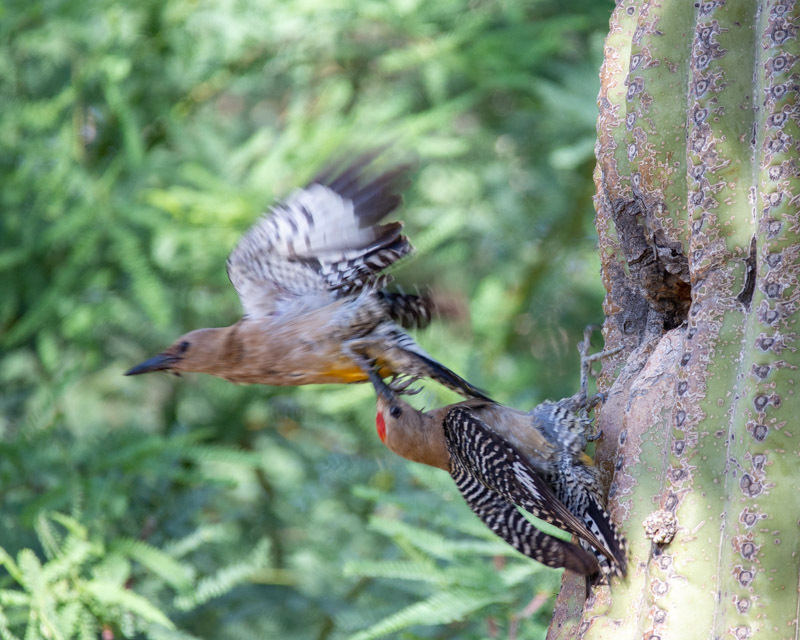 While my shutter speed was way too slow to stop the action, you can get a sense of what happened as the female took off and the male had to “duck” to avoid her. 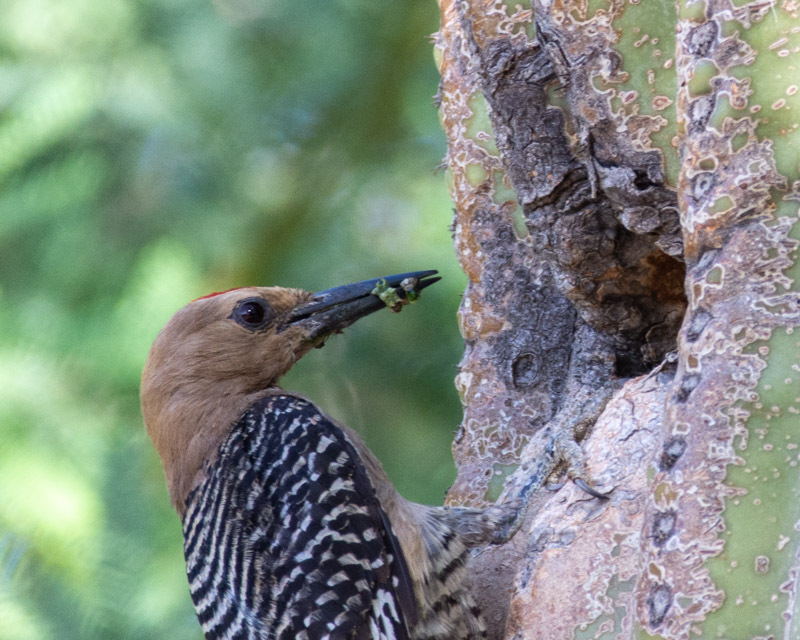 As soon as she left, he went into the nest. And another food delivery by mom.